Created as an unique opportunity for young women in CNY, the brand new young women in harmony (YWIH )Chorus, Scarlet, is already turning heads from Syracuse to the Southwest! 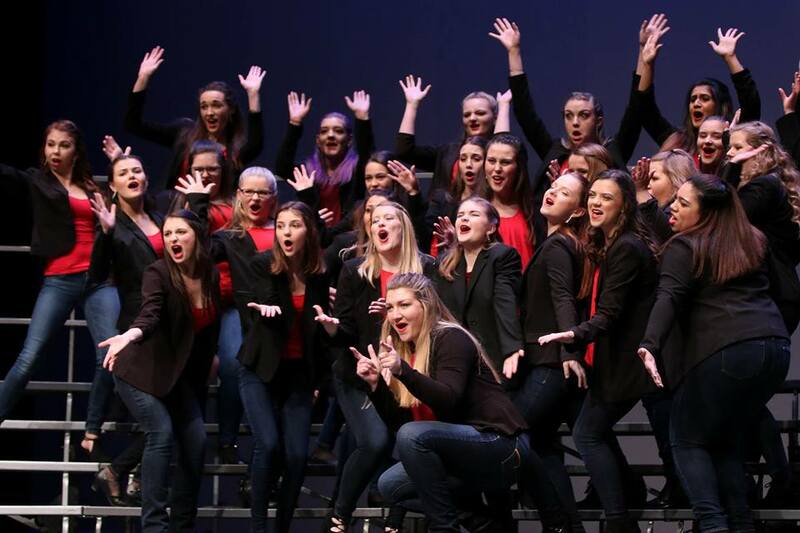 Made up of about 30 young women between the ages of 12-25, Scarlet made a stunning debut at the 2017 International Youth Barbershop Chorus Festival in San Antonio, TX where they earned a "Superior" rating and took top honors as AA Plateau champions! Scarlet provides an opportunity for young women to dip their toes in the exciting barbershop world while being mentored by their “big sisters” in the Spirit of Syracuse – training the next generation of musicial and transformational leaders! Know a young woman who loves to sing? Sweet! Contact us at [email protected] for more information!